Mystery Dinner Theater - WISE - Women's Information Service, Inc. The WISE Mystery Dinner Theater has returned! This year we will be presenting “Murder at the Pie Auction” at the Holiday Inn on April 26th, 2019. All tickets must be purchased by April 15, 2019. Reserve your tickets today, or consider making a donation to help support the event if you are unable to attend. All tickets include dinner and a show. Cash bar available. There will be raffle opportunities at the event! Use this form to purchase tickets or to donate to the event. Yes, I would like to purchase tickets. No, I cannot attend but would like to make a donation. 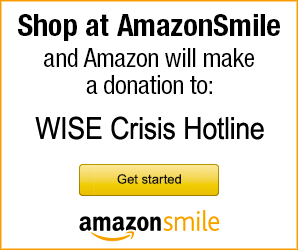 Thank you for donating to WISE! $60 per person. Call if you need to reserve tickets for more than 8 people.